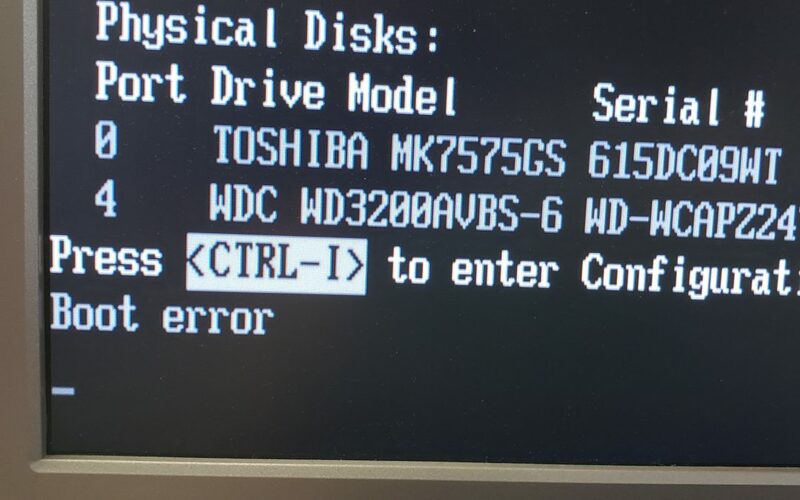 Why won’t my computer boot into Linux? Fort Wayne Computer Repair blog | Shane Grantham Consulting, Inc.
Once in a while one of my computers has a problem and I have to troubleshoot it. Recently, a Linux PC of mine wouldn’t boot into Linux for me when I wanted to work on my web site. The splash screen showed the hard drive and CD ROM drive so I knew they were seen. The last line had a simple “Boot error” but it didn’t say what device had the boot error. I hoped it wasn’t the hard drive. After looking in the DVD drive trays I found them empty. I noticed the front panel had one of my USB drives inserted which was probably the culprit. Once it was removed from the front panel and I rebooted the PC, it came up normally. 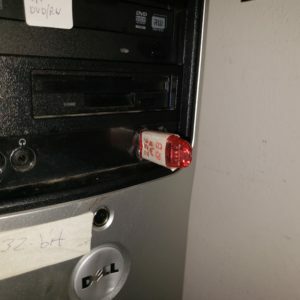 The picture below shows my red USB drive that prevented the PC from booting into the Linux operating system. Since it only had data files on it and no operating system, it couldn’t boot.